Piedmont Heights is one of the oldest neighborhoods in Atlanta settled in 1822. In 1835 a one-room log schoolhouse was built beside a “cool, clear sparkling spring” bubbling from under a rock at the intersection of today’s Piedmont and Rock Springs roads, and the area became known as the Rock Spring Community. 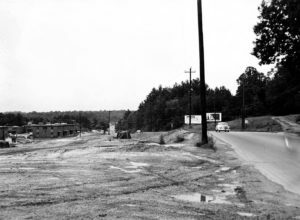 Gradually a little township called Easton grew up on Clear Creek where Ansley Mall is located today. In 1864 General Sherman swept through Georgia and his troops, camped on the edge of Easton, did considerable damage to the area. After the war, the little schoolhouse was rebuilt and soon shared with the Union Sunday School. Civil War veteran Captain James M. Liddell bought 40 acres near the school and built his home, which some say is Atanta’s second oldest, at 464 Montgomery Ferry Road. In the 1870s the Air Line Belle train, “finest on the line,” began service from Toccoa to Atlanta, with a stop in Easton. A depot and a post office attracted 100 residents to Easton by 1888 and in 1895 a new highway to Atlanta called North Boulevard passed through the town and spurred additional growth. In 2005 the Atlanta BeltLine was created and proposed public transit in the old railroad corridor. PHCA formed a planning committee to mitigate its impact and in 2012 produced the “Greater Piedmont Heights Master Framework Plan” which won an Award of Merit from the Urban Design Commission and was cited by the Georgia Planning Association for “good, practical solutions” to the traffic problems. Today, over 2,000 households make up Piedmont Heights. Currently, the neighborhood borders are Piedmont Avenue/Road (east), the no longer in use Norfolk Southern railroad bed, now the Beltline (west), and I-85 (north). 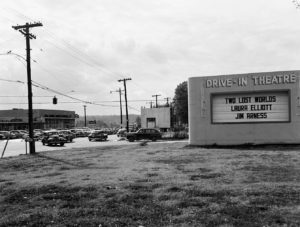 For a more complete history of Piedmont Heights, visit our website.